Yellow-Yellow was a female bear in the Adirondack High Peaks, identified by the yellow tags placed on each ear by New York State Department of Conservation wildlife biologists in the early 2000’s. 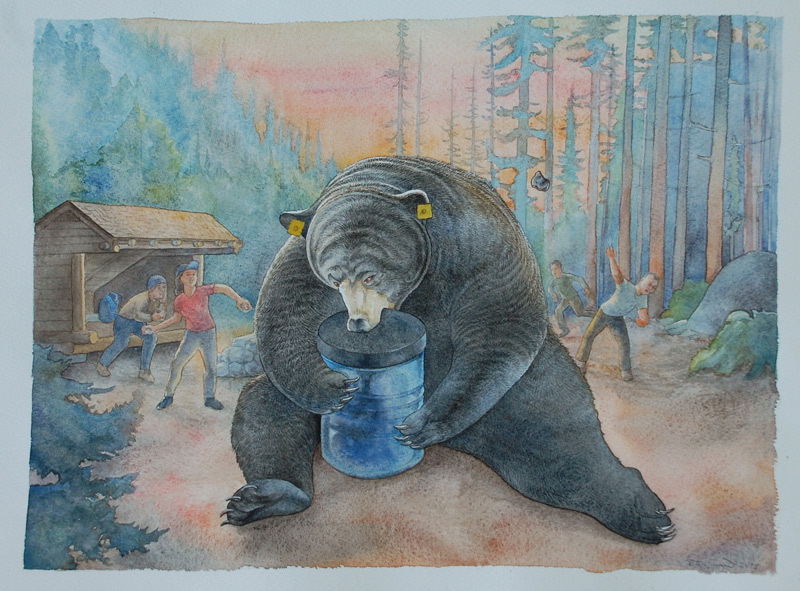 She had distinguished herself by learning to open the BearVault black bear resistant canister used for safeguarding food caches. At roughly 20 years of age, Yellow-Yellow was slain by a hunter’s bullet on October 21, 2012, in the town of Jay. The incident was not connected to any food theft. She is survived by numerous offspring, and its unclear if her unique talents were handed down to them.